The Transformers: The Movie is headed back to theaters in its remastered glory for one night only on September 27th and we've got your hook-up! 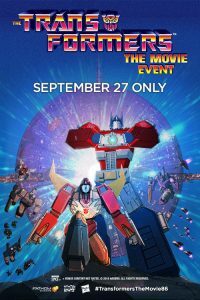 The Transformers: The Movie, the animated adventure from 1986, is headed back to theaters in its remastered glory for one night only on September 27th, 2018. Thanks to our friends at Fathom Events, Shout Factory!, and Hasbro Studios, we’ve got 5 pairs of tickets to give away to residents of the United States. – 3 pairs of tickets will be given away via our Gleam campaign below. Just register and complete each step you’d like to for multiple chances to win. 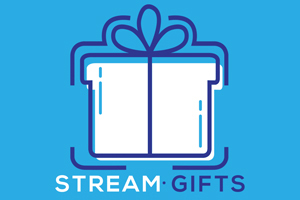 – 1 pair of tickets will be given away to our Twitch subscribers, whether you’re subscribed to TheGeekGeneration or theRobLogan, both are eligible! – 1 pair of tickets will be given away to our Patreon supporters, who have helped revive the Random Movie Club podcast. If you don’t want to take your chances and you’d like to purchase tickets instead, you can do so at FathomEvents.com. 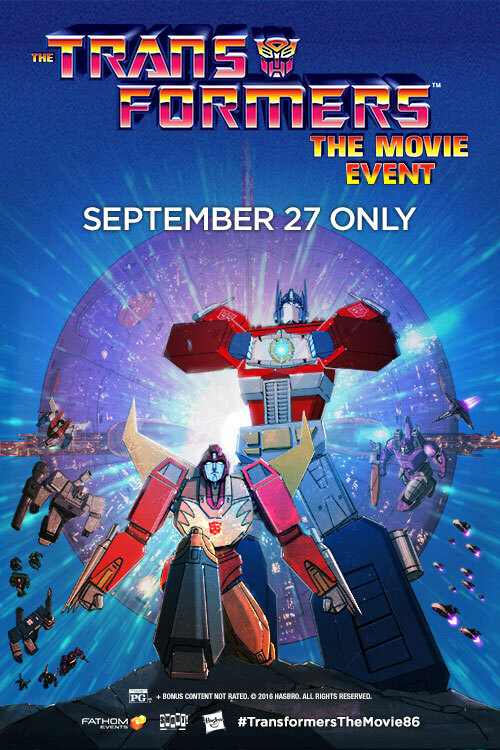 This special one-night event will catapult audiences into the super-charged, action-packed Tranformers universe, and enables lifelong fans to relive the excitement and awe of this 1986 animated feature. Fans will also get an exclusive behind-the-scenes sneak peek at the making of this December’s Bumblebee, as well as a brand-new interview with singer-songwriter Stan Bush, including recent performances of the theme songs “The Touch” and “Dare.” Audiences who attend the Fathom Events screenings will also receive a poster of The Transformers: The Movie (quantities limited, while supplies last). The Transformers: The Movie has captured a special place in the hearts of millions and has been a staple in the pop culture zeitgeist since 1986. Featuring memorable characters from the heroic Autobots and villainous Decepticons, and thrilling action and a heartfelt storyline, The Transformers: The Movie is a cultural touchstone that spans generations. Beloved by legions of fans, this full-length animated adventure boasts the voice talent of Orson Welles in his final voice acting role and an all-star voice cast that includes Peter Cullen, Eric Idle, Casey Kasem, Judd Nelson, Leonard Nimoy, Robert Stack, and Frank Welker.